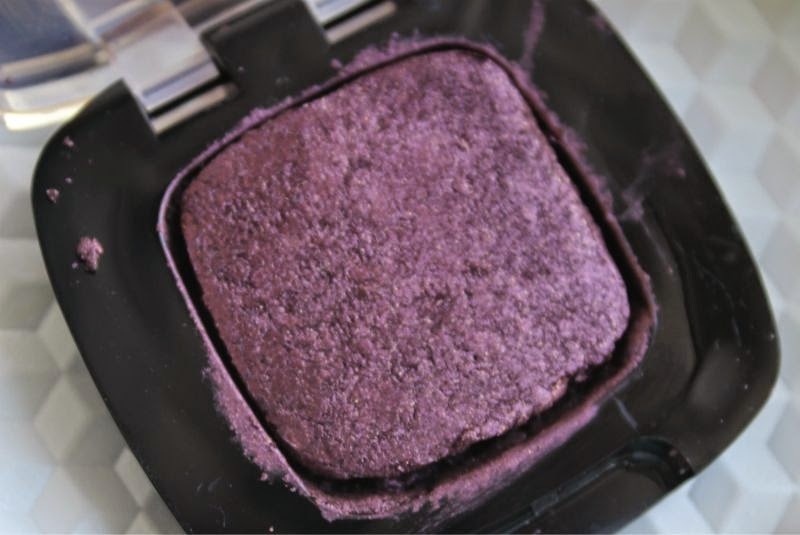 I jest I love MAC Cranberry eyeshadow but I do think that I rely on it a little too heavily come the Autumn months. 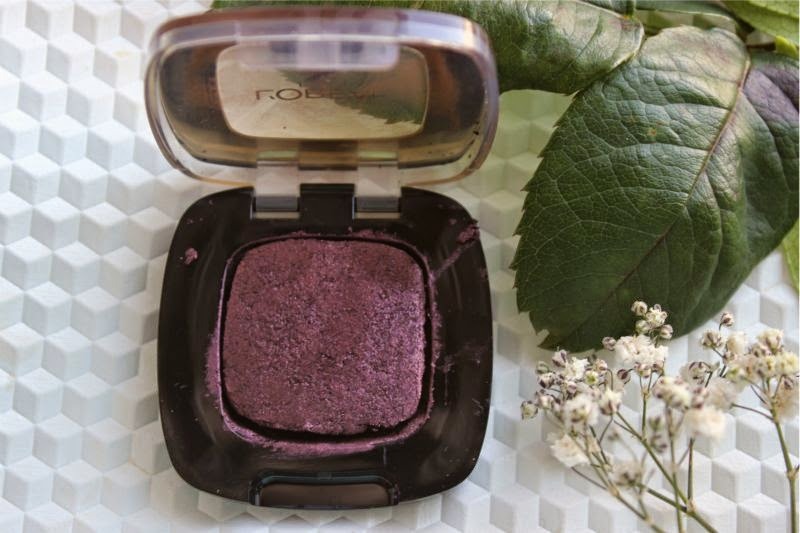 Like most I enjoy deep, warm and almost jewel toned hues for my eyes (yes MAC Cranberry I mean you) come the colder weather but this year I think my go to eyeshadow will be a recent and budget find that is L'Oreal Color Riche L'Ombre Pure Eyeshadow in the shade Escape in Bordeaux. The packaging is what you'd expect from L'Oreal - well sized (not too big nor small), yes it is plastic but it is sturdy and can take a knock or two and let's face it they don't half look bad. I have no complaints - I like that there is no foam applicator included (waste of time and money in my opinion) and that due to the size I can pack a few shades and not feel as if my make-up bag is bulking. I'm currently trying to figure out how to de-pot my L'Oreal Color Riche Lumiere Mono Eyeshadows without breaking them so I can create a custom palette. If I do succeed I will post a tutorial. As a heads up the softer, metallic shades will break fairly easily if dropped which you will see in my photos. Some of us are just natural klutz's and I happen to fall (sometimes quite literally) into that category. So you want a warm toned brown with hints of red for the Autumn? You like the idea of MAC Cranberry but not so much the price tag? 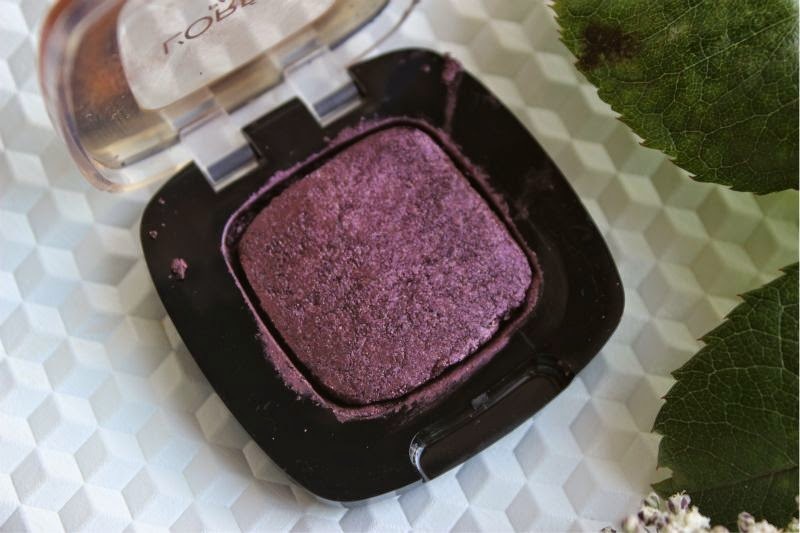 Now I'll be the first to say that L'Oreal Color Riche L'Ombre Pure Eyeshadow in Escape in Bordeaux is not an outright dupe for MAC Cranberry but it gives a similar effect. 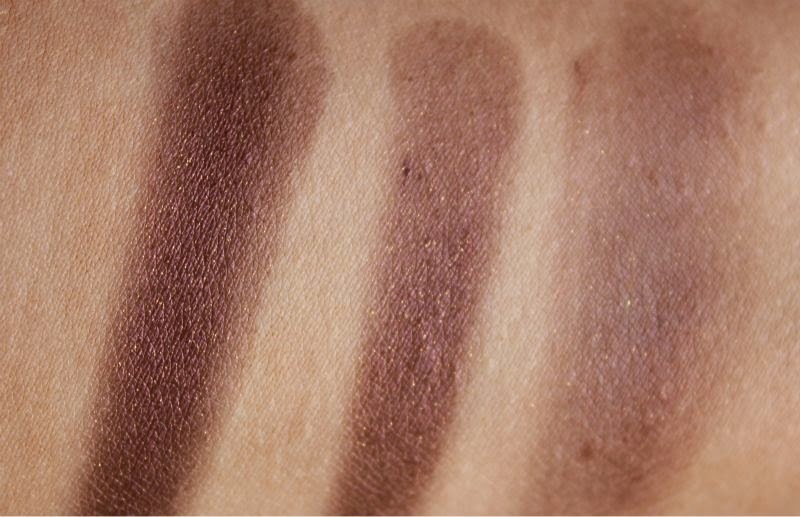 Escape in Bordeaux looks different in the pan that it does on the skin, you'd be forgiven for writting it off as a red tinged plum but in essence it is much more diverse than that. Escape in Bordeaux has a strong brown undertone that gives a smoky vibe, yet the red nuance prevents the shade from being too purple based. As you will see in the below swatches this shade is metallic yet features fine golden micro glitter, oddly the glitter is less than evident on the eyes yet pretty prominet in my arm/skin swatches. Like I said complex and for that reason alone it really is worth a purchase, the fact the formulation is out of this world is only an added bonus. 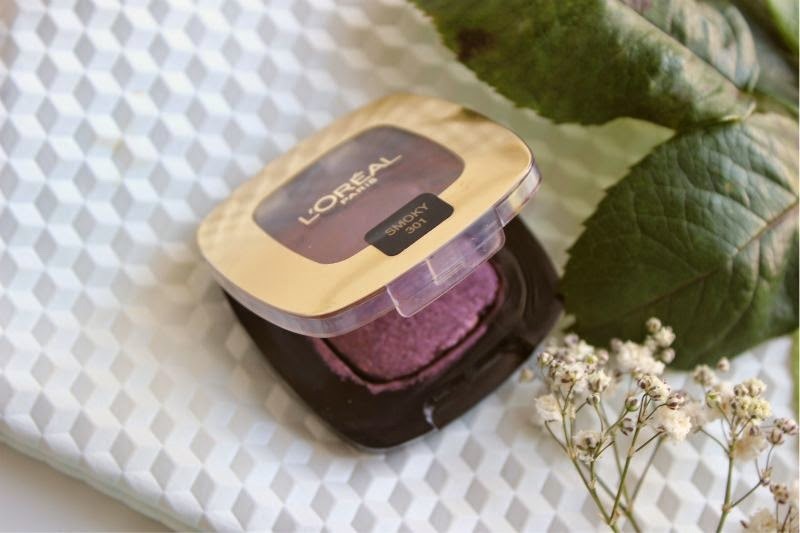 The formula is what makes the L'Oreal Color Riche Lumiere Mono Eyeshadows a must purchase in my eyes, a gel infused eyeshadow which almost feels wet to the touch but glides on to the skin with ease and quickly sets. If you have oily eye lids like myself (I'm generally an oily mess truth be told) this is the eyeshadow formula for you. Once applied they don't budge or crease for that matter and honestly perform just as well with a primer as they do without one (around 8 hours each way)- which is not something I can often say. The texture and finish reminds me of a more solid version of L'Oreal Color Infalliable Eyeshadows .The pigmentation is incredible, my swatches show one light swipe but on the other hand they do blend out with ease too if full on colour isn't your thing. I would truly say that they are more pigmented than the MAC In Extra Dimension Eyeshadows and only a third of the price too. Why mention a MAC formulation? Well in my opinion this is the only texture that really comes close to the L'Oreal offering. At £5.49 each you own it to yourself to pick up at least one of the L'Oreal Color Riche Lumiere Mono Eyeshadows. Mind blowingly good. Don't you just love that the more affordable brands are currently triumphing over the high end stands? 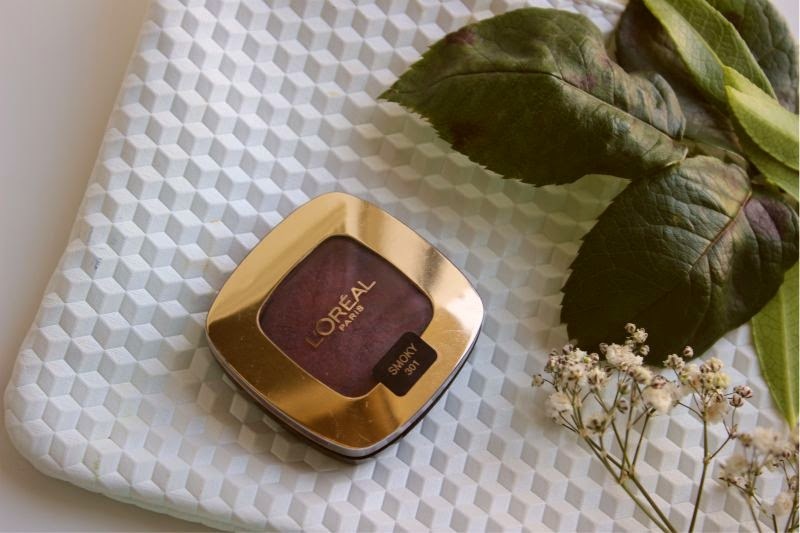 You can find the L'Oreal Color Riche Mono Eyeshadows for £5.49 via Boots - link. 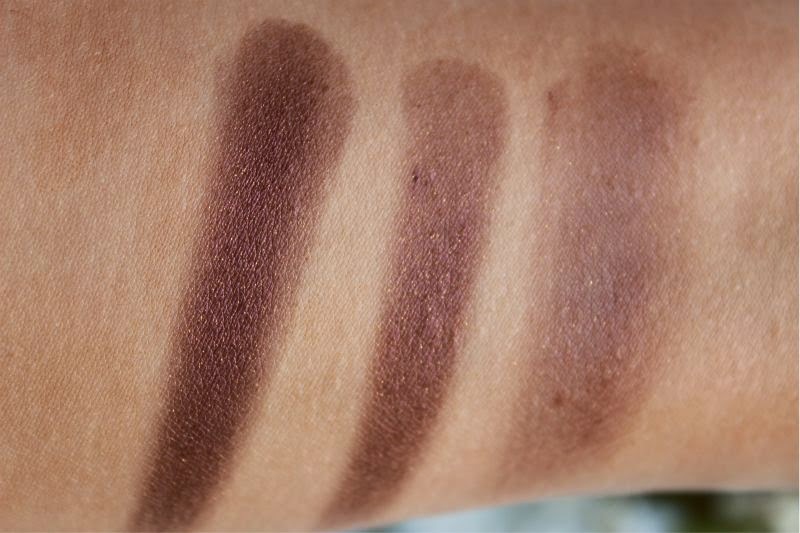 Ohh I love the shade of this, so great for Autumn. This looks so beautiful! Hoping I can find this one! I've never been able to splurge on MAC Cranberry (being a student and everything!) but I'll definitely try this. Very cool, thanks! I too am a Cranberry girl, I love to mix it with Shadowy Lady. This sounds like a great recommendation! I have this shadow. 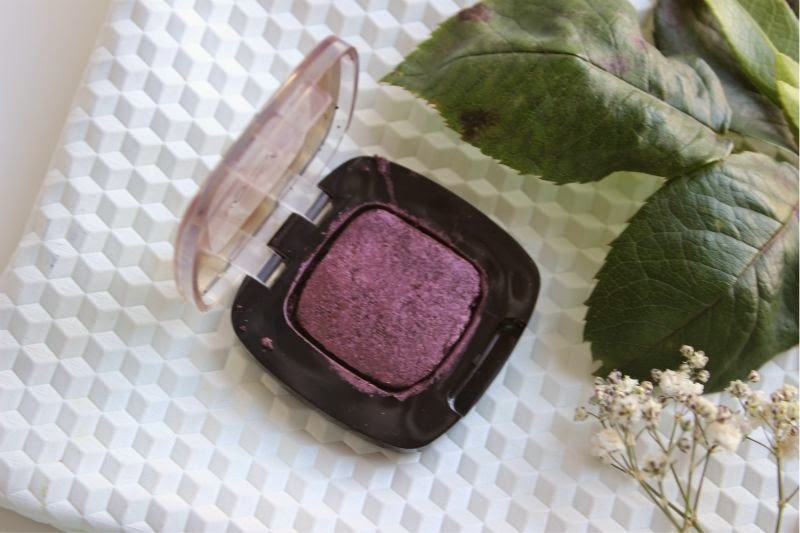 Its super pretty and perfect for this autumn, but still prefer my MAC cranberry eyeshadow! 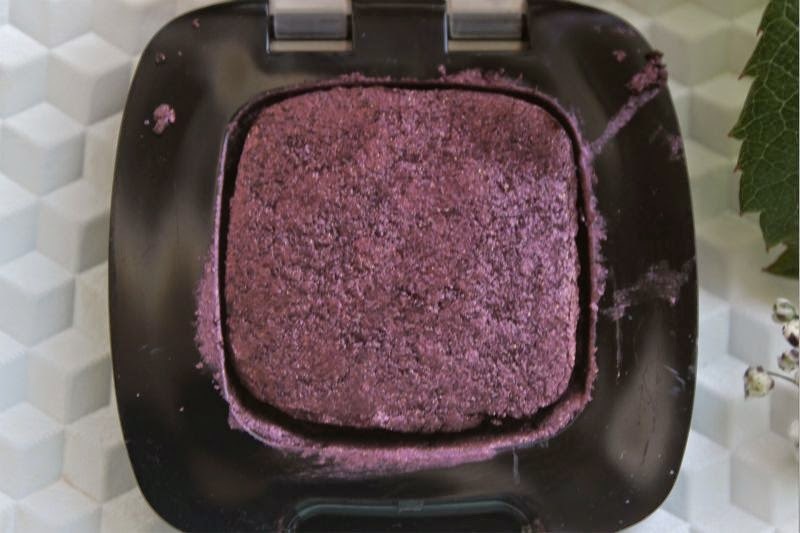 MAC Cranberry was only recently introduced to my collection so I'm not quite over the obsession yet but I could get on board with this eyeshadow. I haven't used L'oreal eyeshadows in years but I did once love them so it wouldn't hurt to go back. For this price I think this is perfect. I would worry that with the price of MACs I'll never wear it enough to warrant my purchase! Wow that shade is stunning! These seem to be getting rave reviews, I really need to try some! This is such a stunning shade! Thank you for sharing. That shade is just divine! This shade looks amazing - I am going to have to remember this! 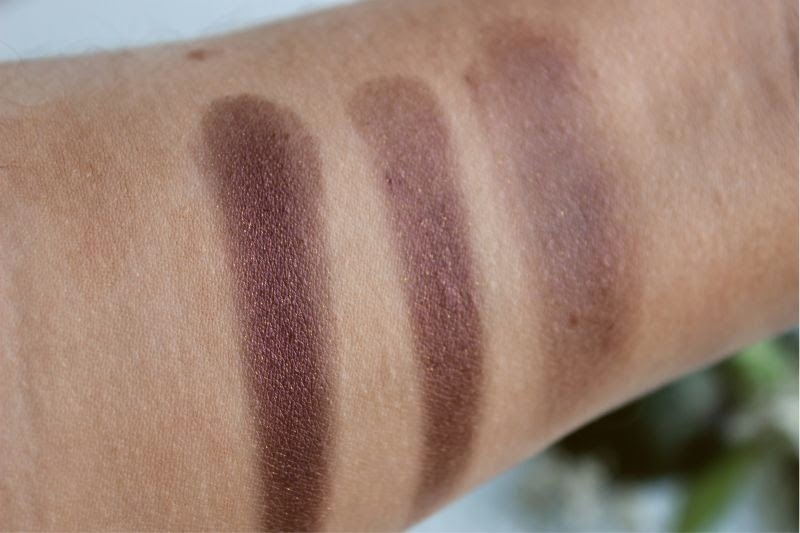 I love these eyeshadows but I've never spied this shade before, I'll have to check it out now! I have a similar eyeshadow like this that's absolutely gorgeous and definitely one of my go to colors for the fall. 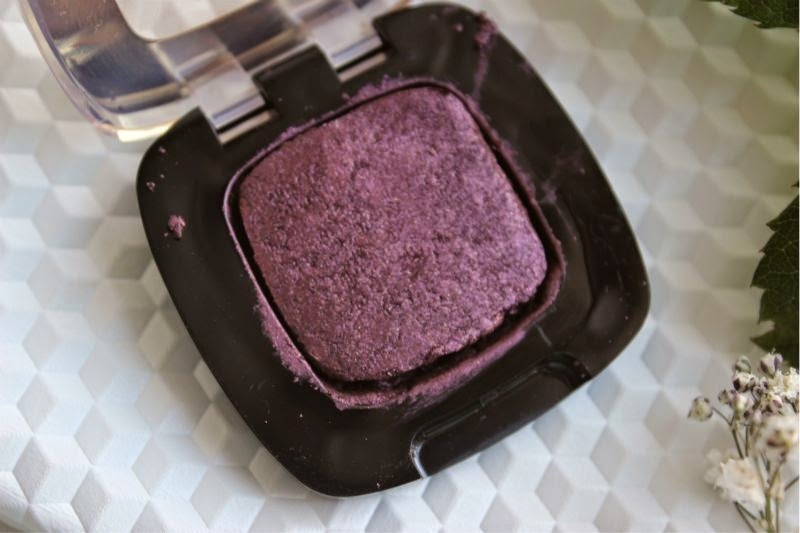 I have an eyeshadow from that range in the shade Cafe St Germain, and it is lovely.